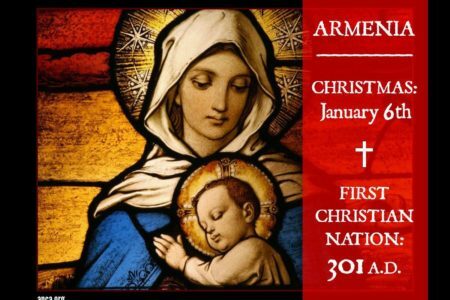 The Armenian Apostolic Church celebrates Christmas on January 6th. On this day it also celebrates the Epiphany (which means the revelation that Jesus was God’s son). Epiphany is now mainly the time Churches remember the Visit of the of Wise Men to Jesus; but some Churches, like the Armenian Apostolic Church, also celebrate the Baptism of Jesus (when he started his adult ministry). 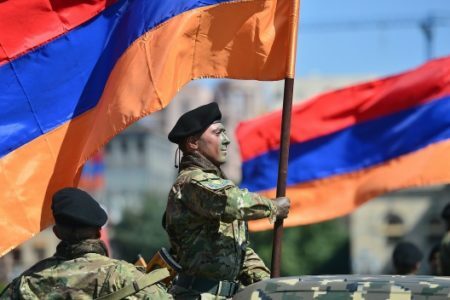 On January 28, 1992 a decree of the Government of Armenia “About the defense of the Republic” officially confirmed the creation of an independent state army. 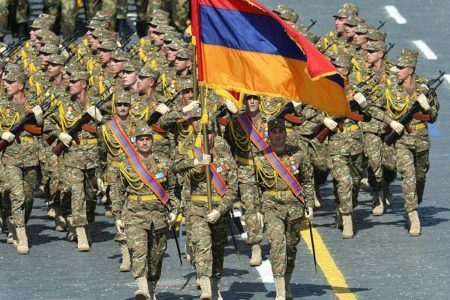 The Law “On holidays and memorial days of the Republic of Armenia” was signed on January 6, 2001 declaring that the Army Day is celebrated on 28 January. 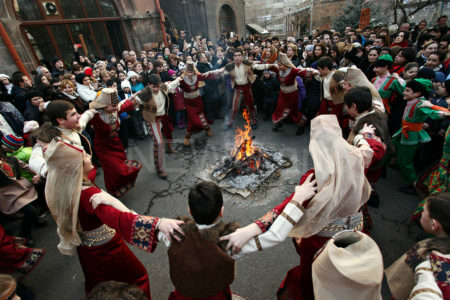 The celebration of Trndez is pagan in origin and is connected with sun/fire worship in ancient pre-Christian Armenia, symbolizing the coming of spring and fertility. The holiday meant to strengthen the heat of the sun, influencing cold with the help of fire. 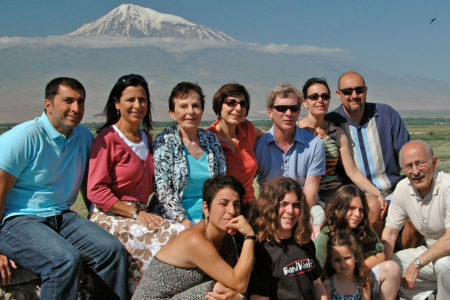 Traditionally, Armenians gather around a large fire and jump over it on the evening of February 13. This is a joyful holiday in all provinces and villages of Armenia, as well as in capital Yerevan, celebrated by young adults, newly-weds and all families in general. People make bonfires in their yards, make circles and go around the bonfire, and in the end jump over the flame. 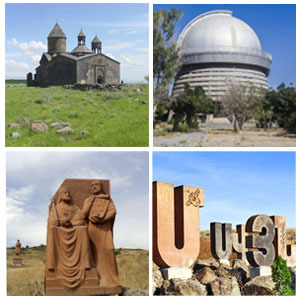 Armenia is observing the International Mother Language Day on Saturday, February 21, 2015. The International Mother Language Day was proclaimed by the General Conference of the United Nations Educational, Scientific and Cultural Organization (UNESCO) in November 1999, and it is observed since 2000. Armenia celebrates International Women’s Day on March 8th, similar to many other countries in the world today. For working women in Armenia, International Women’s Day is an official holiday, where they can enjoy their day as they see fit having no obligation to work at all. On this day, other members of the family contribute to keep things in order inside the house, while the women can relax all they like. 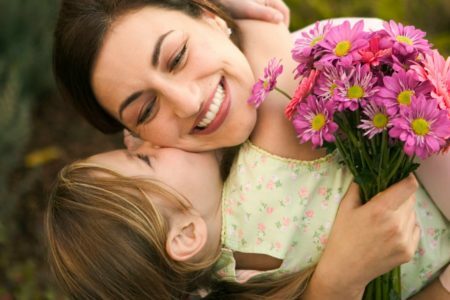 April 7 is Motherhood and Beauty Day in Armenia. 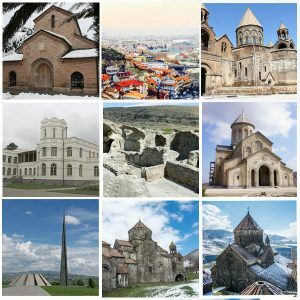 In modern-day Armenia, it is a national but not an official holiday, which brings to a close the “women’s one month” – from March 8 to April 7 in Armenia. According to the Holy Bible, it was on April 7 that the guardian angels gave the Virgin Mary the Good News that she will become a mother in nine months. For centuries, April 7 is marked in Armenia and the Armenian Diaspora as Women’s, Motherhood, Beauty, and Spring Day. Easter is often a public holiday. During Easter people celebrate Jesus Christ’s ressurection from the dead. Easter is a movable feast as it doesn’t have a fixed date every year, as most holidays do. As a Christian country, Armenia also celebrates Easter. 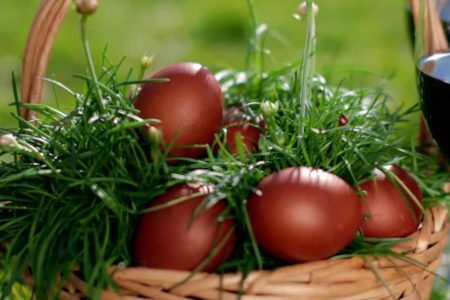 Armenian Easter or “Surb Zatik” is one of the Armenia’s joyful holidays of the year. Armenia celebrates the International Workers’ Day, May 1st, along with other states. It is the holiday of a family. Everybody marks the holiday of working people. 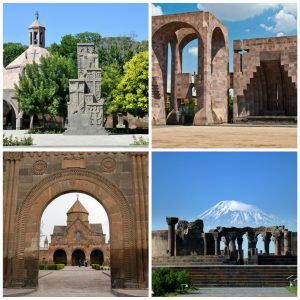 In Armenia May 1 was re-established only in 2001. On August 6 by the decree of the President May 1 became the Workers’ Day in the Republic of Armenia. Victory and Peace Day is a public holiday in Armenia. 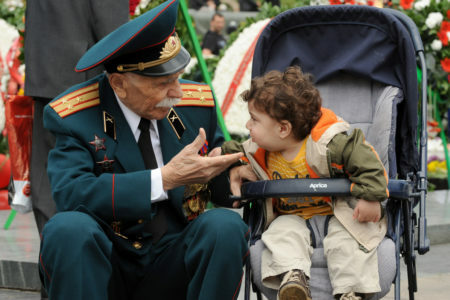 May 9 in Armenia is celebrated as Victory and Peace Day. It is a day to celebrate and remember the victory over the Nazi forces that capitulated on May 8, 1945 during World War II . Armenians on this day remember many of their ancestors that died during World War II on the Eastern Front as they fought for the Soviet Red Army against the German Nazis. Hundreds of war veterans, wearing their medals, pay tribute to fallen Armenians at the Tomb of the Unknown Soldier in Yerevan’s Victory Park. According to the amendments to the law on “Holidays and Anniversaries” approved by the Armenian parliament, Armenia celebrates the Family Day. In accordance with the UN General Assembly Resolution on International Year of the Family (resolution № A/REC/47/237 on September 20, 1993), the International Day of Families is celebrated on each May 15, since 1993. On May 28 Armenia celebrates the day of the first Republic. On May 28, 1918 Armenian National Council declared about the independence of the Republic of Armenia. The day of Republic has officially started to be celebrated since 1992. 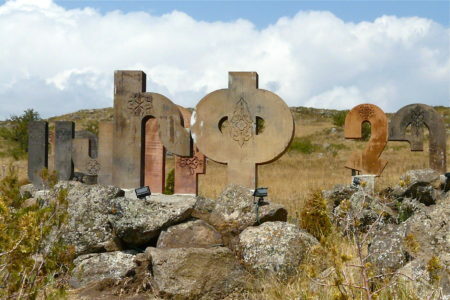 It is the symbol of the revival of the Armenia statehood. 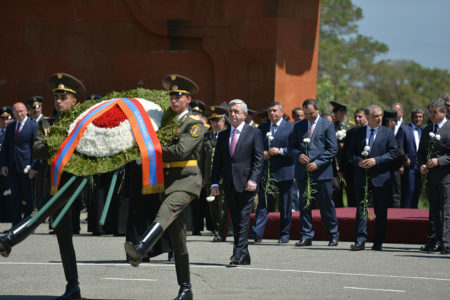 On this day Armenia’s high level officials, representatives of political forces and others visit Sardarapat. 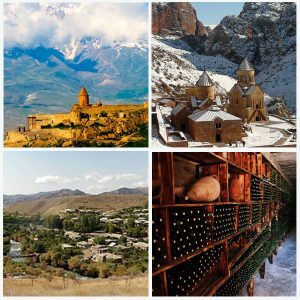 Armenia celebrates Independence Day as a public holiday. 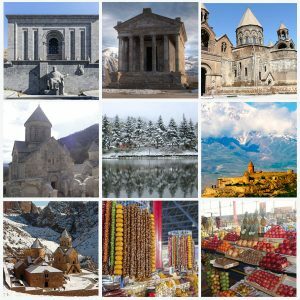 In Armenia, Independence Day is an official holiday. It commemorates the restoration of the Republic of Armenia in September 21, 1991, after 70 years of Soviet rule. 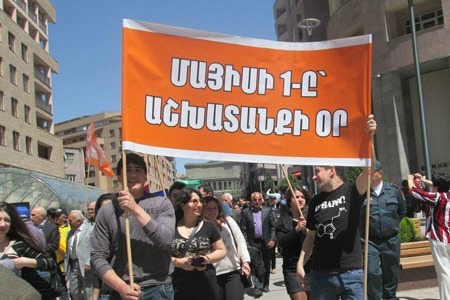 On September 21, Armenia held its referendum on independence. Almost 95 percent of the qualified voters took part, and more than 99 percent of these voters said “Yes” to the having an independent, free, and self-governing state.